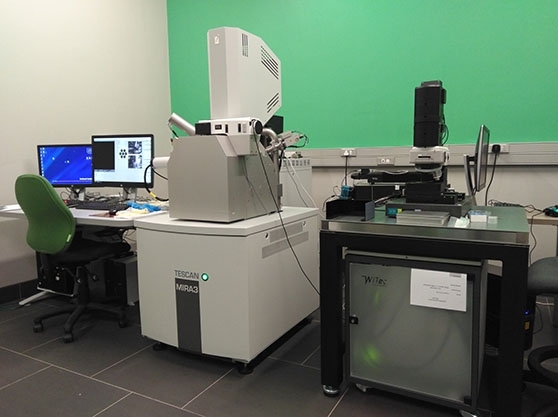 The Unit has three scanning electron microscopes available for staff and student use: The FEI NovaNano SEM, the Tescan MIRA3 RISE SEM and the Leo 1450 SEM. The instruments can be booked in advance for as long as is required for a particular experiment subject to user demand at that particular time. The Unit offers training in the operation of these instruments. Please contact Miranda Waldron for any queries regarding our scanning electron microscopes: (021) 650 2818, or miranda.waldron@uct.ac.za. The Nova NanoSEM is a high resolution Field Emission SEM, combining low kV imaging and analytical capabilities with unique low vacuum performance. The SEM was installed in March 2010, was in operation by April 2010 and is mainly used by staff and students from UCT, CPUT and UWC. 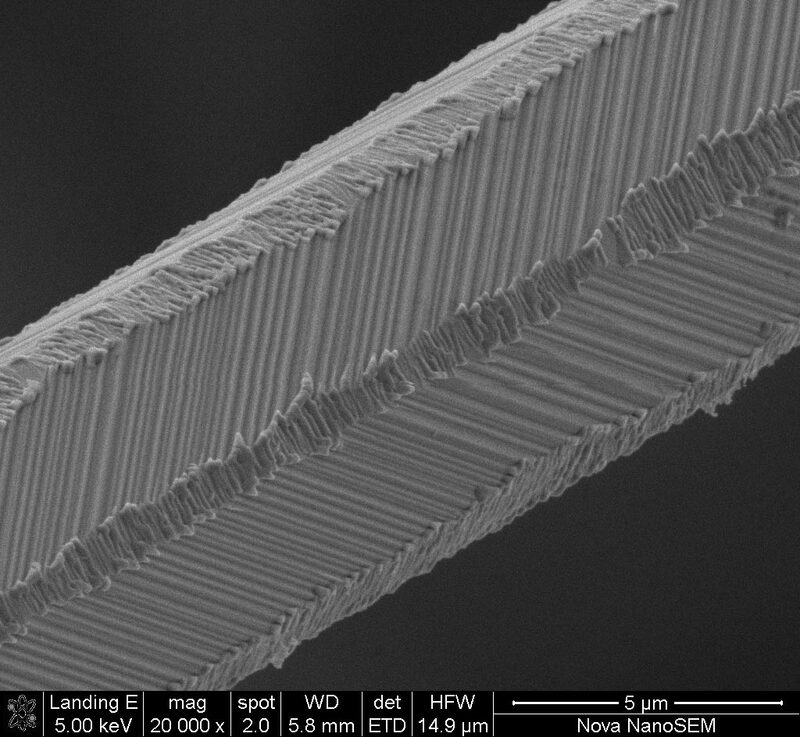 Field Emission Gun (FEG) high resolution SEM. Nanoparticle X-ray mapping using STEM detector. High resolution in-lens secondary detector: This detector sits inside the electron column and is used in conjunction with the immersion lens to produce high resolution images. The detector can be used in both secondary and backscatter modes on a range of samples. Beam Deceleration mode: This mode is used when imaging beam sensitive samples when a low kV is required. Low vacuum mode: The NanoSEM has a low vacuum backscatter detector and a low vacuum secondary detector. Either of these can be used in low vacuum mode to produce high resolution images on charging samples. Beam distortions caused by sample charging can be minimized by introducing a gas or vapour into the sample chamber, primary electrons and electrons ejected from the sample are amplified in a gas ionization cascade produced by placing a positively charged electrode above the sample (Toth et. al. 2003. Ultramicroscopy v94(2):71-87). In the case of the Nova NanoSEM, distilled water is introduced into the chamber to produce improved images of charging samples, the amount of water and the chamber pressure can be modified according to the extent of the sample charging. Low voltage backscatter detector: This detector can be used to produce images based on sample density and is very effective when imaging alloys. When used with a low beam voltage in combination with beam deceleration, the resulting images are topographic and resemble images taken with the secondary detector. Very useful for charging samples. STEM Detector: The STEM detector can be used on TEM samples that are either beam sensitive or have low contrast, such as biological specimens. In order to increase the contrast, various stains can be used on biological samples, but there is some risk of introducing artifacts during staining. 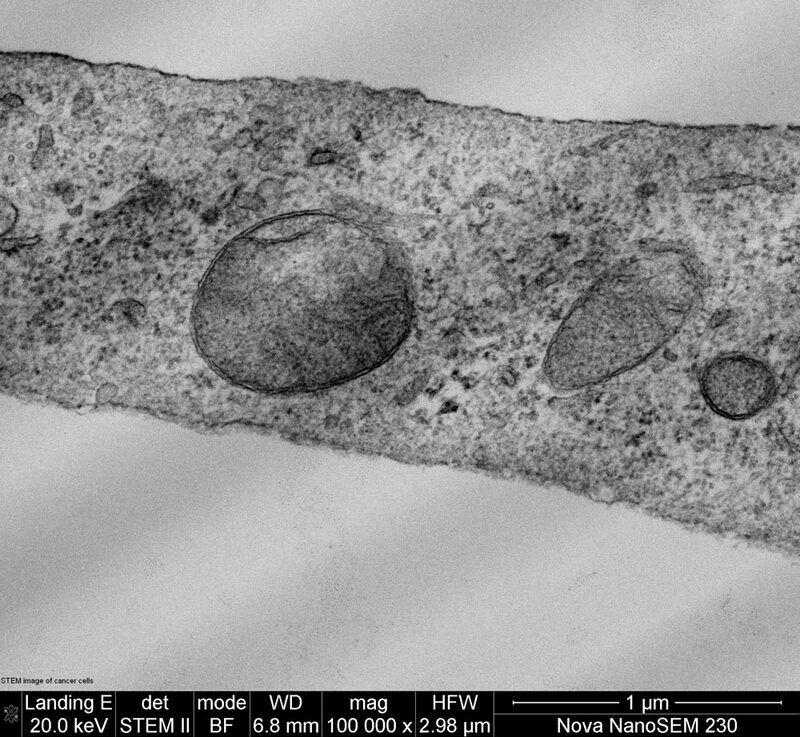 STEM is a low dose technique compared with TEM so high resolution images can be produced using low kVs. Images are produced from electrons that have passed through the thin sample. Different types of signals can be produced by different beam scattering angles, these can be displayed simultaneously or individually, depending on the image required. EDS Detector: The NanoSEM has an Oxford X-Max silicon drift EDS detector which produces high resolution EDS spectra with productive count rates at low beam currents. 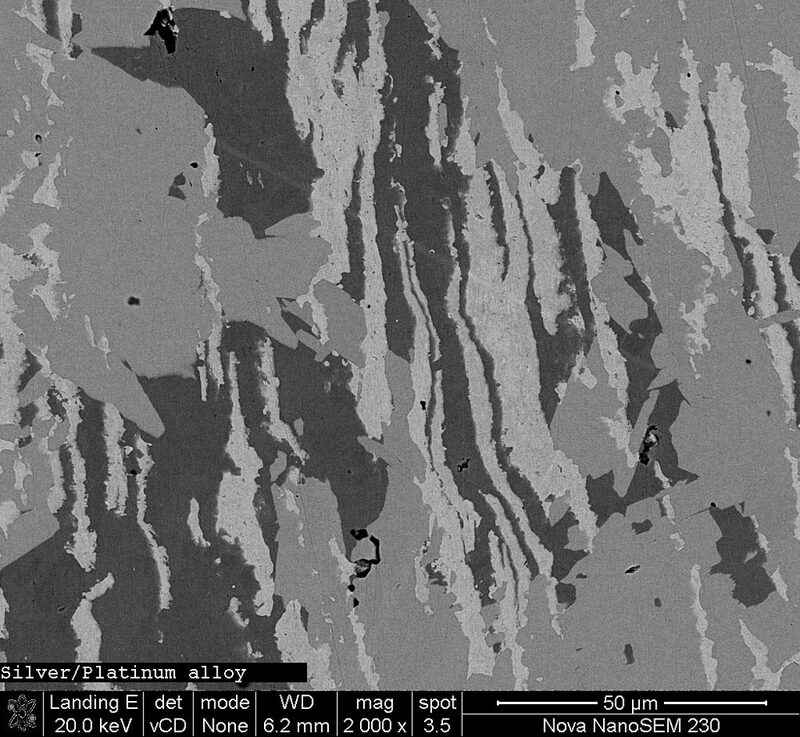 EBSD detector: The NanoSem has an Oxford EBSD system, used to perform quantitative microstructure analysis on the nanometer scale. Should you need training please enquire at the Unit about the scheduling of individual training, carried out by Miranda Waldron (the EM Officer responsible for SEM applications). 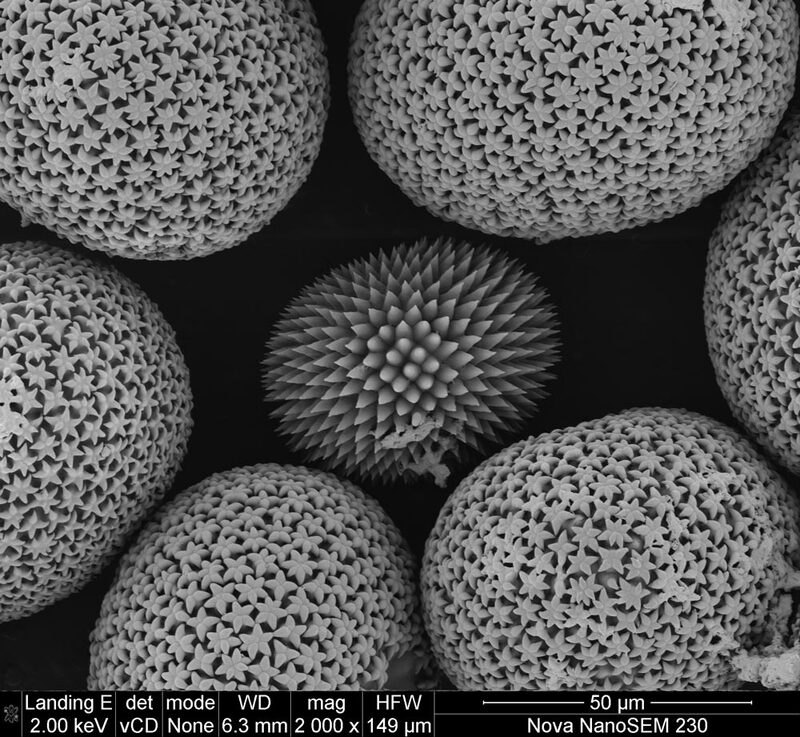 Training consists of an initial session where you are familiarised with basic Electron Microscopy and the software on the SEM. At the next session, you will undergo hands-on training under supervision, using your own samples. This will continue until you are competent and able to be left alone. Regular user charges will be charged whilst you are learning to use the SEM. You can also browse through our online lectures for the EM for Biologists training course, which covers LM, SEM, TEM and Image Analysis. The manual for this instrument is available as a PDF, on request. The Zeiss/Leo 1450 is a LaB6 SEM with an EDS system and backscatter detector. 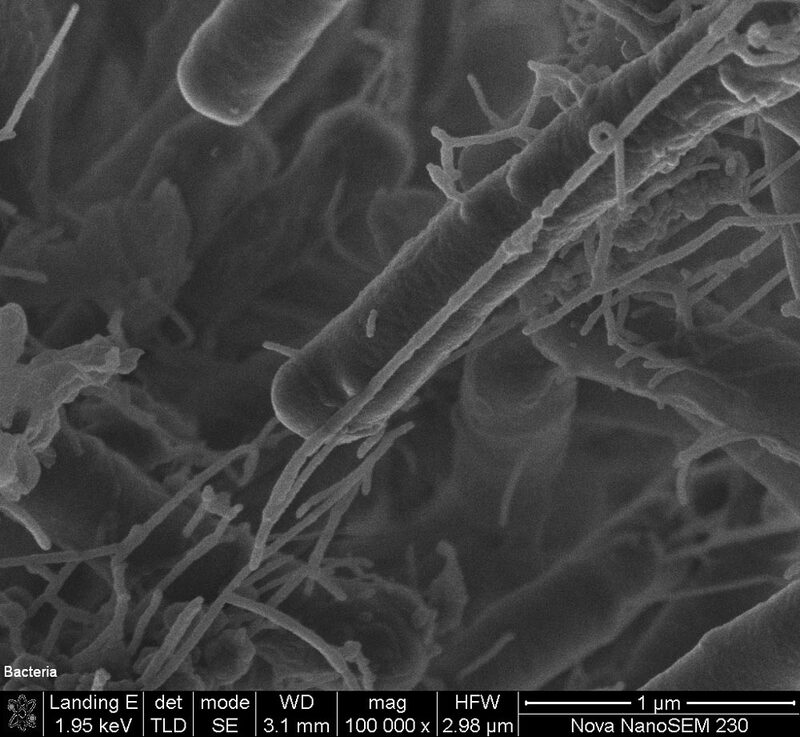 Cryo-SEM stage and Fisons transfer unit.